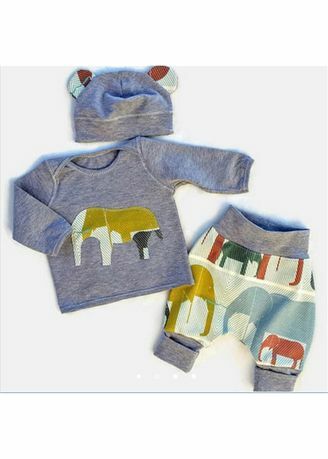 Fashion elephant printing baby pullover and pants. Perfect for daily wearing, sleepwear, and any occasions. Long sleeves pullover, thick and warm. Round collar pullover and full length pants, comes with a cute hat.